Our Garden Games wooden croquet balls weigh 12oz, which makes them 4oz lighter than regulation weight balls, though they still enable you to play a good game. These balls are made from wood, which is the traditional material used for croquet balls. While modern composite balls are the best these days, wooden balls have the advantage that they are cheaper. We offer so-called primary colours (Red, Blue, Black & yellow), as well as the secondary colours (Pink, Brown, White & Green). 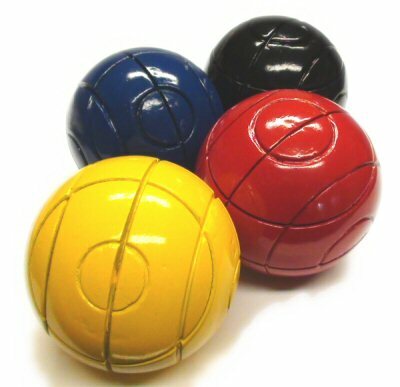 We sell individual balls, or as sets of primary or secondary colours.